Provides an introductory look at how the iPhone SDK and Xcode tools work with the Objective-C language to create native iPhone applications. Familiarizes you with the latest version of the iPhone SDK and the newest Xcode tools that ship with Snow Leopard. Walks you through developing your first iPhone applications. 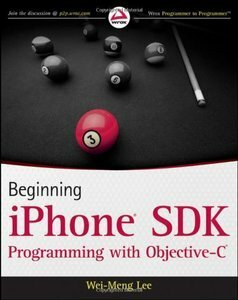 Focuses on the features and syntax of the Objective-C language so that you can get the most out of the iPhone SDK. With this hands-on guide, you'll quickly get started developing applications for the iPhone with both the iPhone SDK and the latest Xcode tools.